Sippa på några av de berömda vinerna i Bourgogne under en vinprovning från Dijon. Venta in i Cote d'Or för att besöka två vingårdar, där du följer din guide på utflykter i källarna. Njut av en guidad vinprovning så att din nyfunna kunskap kan användas. Gå in i vinodlingsregionen Cote d'Or på en rundtur från Dijon för att uppleva vad som gör denna regions viner så speciell. Med en vinkompetent som din guide, ta dig till två olika vingårdar för guidade kundturer. Lär dig vilka druvsorter som går in i dessa viner, hur vinprocessen är som från vinstockar till flaska och områdets vinrelaterade historia. Prova några av regionens viner under vinprovning med din handbok för att hjälpa dig att sätta allt du har lärt dig tillsammans när du smakar vinerna. Reser längs Route des Grands Crus, genom genom byarna Gevrey Chambertin, Morey Saint Denis, Vosne-Romanee, Vougeot, Fixin och Nuits St Georges. Njut av utsikten över vackra städer och vingårdsbelagda kullar längs vägen. Hotellhämtning är tillgänglig, beroende på var du bor. Vänligen klicka på länken "Visa ytterligare information" för att se en lista över de hotell där pickup är ett alternativ. Our tour guide, Chistopher Viardot, arrived to pick us up the morning of our tourn and informed us his other 4 guests had cancelled last minute so we had him all to ourself! What great luck - Christopher was a wonderful host and shared with us the history of the Dijon wine region and brought us to two cellars. The first was Domaine Armelle et Bernard Rion. We met one of the daughters who works at the vineyard her father and then toured through their cellar with a tasting of their amazing wines following that. We must have spent an hour in their company - with it being a morning visit, we were the only guests at that time. We really enjoyed our visit there. The second vineyard was Miollard and Christopher hosted the visit and guided us through another tasting of wines. Again, lots of great information about their history and, again, more delicious wine tasting. We would totally recommend this tour - and highly suggest you ask for Christopher by name. He was a gracious host and we truly enjoyed the tour with him as our guide. Our guide, Chris spoke excellent English and gave us great information about thearea, the wines, how they were made, etc. We were lucky to have him all to ourselves. Fantastic tour. Our tour guide Christopher was fantastic. Very friendly and knowledgeable. 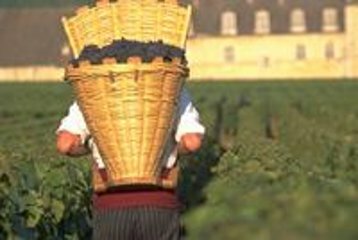 The tour is great value and a good introduction to burgundy wine and the region. Christopher was an excellent guide... Full of knowledge of the region and wines. I was picked up from my B and B and he was before time so I wasn't waiting which I like. He also gave me the option of being dropped off in the town or back at my B and B. Very helpful and I would thoroughly recommend this tour. very good on time very professonal the guide was very informative and didnt try to push the sale of any wines loved the whole experience watched the sorting and looked in the cellars. Our guide Christopher grew up locally and was really knowledgeable about the wines of the Burgundy region, and was very flexible with great communication. We tasted some very delicious wines with the two cellars that we visited and had a relaxing time. Thanks Christopher! Outstanding tour with Christopher. He was extremely informative, friendly, a good driver and the wine was wonderful. A great way to experience the area. Fantastic tour guide. He was very knowledgable and personable. He also had the thoughtfulness to bring along extra drinks/ snacks for our kids. The tour itself led us through some beautiful parts of the countryside to some nice wine cellars. We had a wonderful tour with Christopher. We drink a lot of wine and are very familiar with California's Napa and Sonoma but his explanation of the French methods was still hugely helpful to us and helped us navigate wine lists throughout the rest of the trip. Shipping wine home was a breeze, and coordinating the tour was simple. He and his company were extremely responsive to any questions. Highly recommend it.